New generation of sound never heard before. Grand mid range, deep and well controlled bass response. 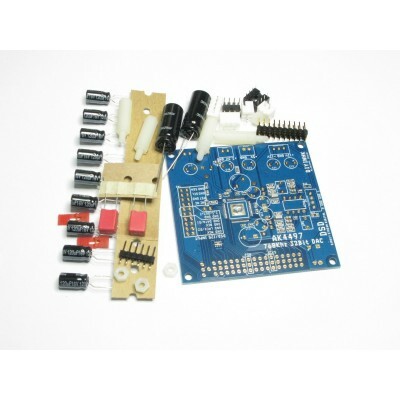 Promotion: Buy 2 PCB(No DAC chip option) at USD19.95 each only! The AK4497 is a new generation Premium 32-bit 2ch DAC with VELVET SOUNDTM technology, achieving industry's leading level low distortion characteristics and wide dynamic range. The AK4497 integrates a newly developed switched capacitor filter "OSR Doubler", making it capable of supporting wide range signals and achieving low out-of-band noise while realizing low power consumption. Moreover, the AK4497 has six types of 32-bit digital filters, realizing simple and flexible sound tuning in wide range of applications. The AK4497 accepts up to 768kHz PCM data and 22.4MHz DSD data. This item includes PCB with SMT component soldered(includes NO AK4497 DAC chip option), thru-hole component are not soldered. The most distinctive features of this USB DSD DAC is our customize xmos firmware for bit-perfect lossless I2C DSD and PCM volume control. Most people may not notice many so called "bit-perfect" device on the market is bit-perfect ONLY when you play at FULL volume. If the volume is not set to maximum in the computer, the audio data is ruined/scaled/altered before sending to the DAC chip and the result is signal to noise ratio seriously affected. After many hours of work on customize the xmos firmware on this USB DSD DAC, audiophiles can move the volume control bar up and down freely in the computer volume mixer panel and still enjoy bit perfect audio. DSD audio as well as PCM audio can also be bit perfect volume control easily from the computer. Please notes there are many so called bit-perfect device can play DSD BUT you must set the computer master volume control to full volume. *The XMOS PCB in the kit is flashed with our AK4490/4495/4497 customized bit perfect lossless I2C DSD and PCM volume control firmware, it send software command and switch AK4490/4495/4497 between DSD and PCM playback. We are the first (since last year 2014) and still the only one (as of today 2016) in the major market can achieve DSD volume control from the PC os mixer bit perfectly. We are proud to ahead of the major market for at less two year. Please notes AK4490/4495/4497 can only playback PCM when running in the default non software control mode. 2) Bit perfect lossless I2C volume control firmware for DSD and PCM when used with the bundled XMOS PCB. (we are proud to be the first one and still the only one in the market can include this important feature since two year ago!) Without this important feature, the audio data send to DAC chip is ruined if the user is not playback at full volume from the computer operation system. 6) 2200uF panasonc Low ESR capacitor at VREFH/L pin for super bass response and highest performance at 20Hz range frequency. 1)The AK4497 PCB can work immediately with only I2S signal and power supply connected, one 3.3V (>300mA), one 5.0V (>100mA) and one +-12V (>100mA) regulated power supply in the default parallel operation mode. 2)For Diyer requires more deeper customization or switch to DSD playback(software I2C command is needed), the latest veraion of AK4497 datasheet is available in the official AKM website. 3)The PCB is designed to be DIY friendly. Diyer can cut the trace and uses the socket labelled AVDD_R(5.0V) for the supply the right channel analog power supply individually. 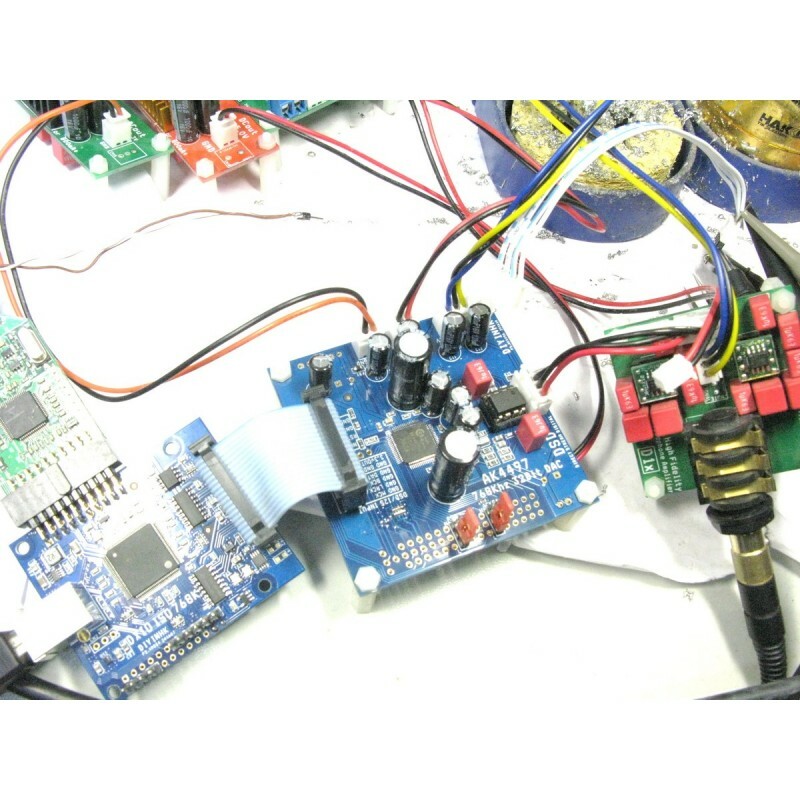 Remove FB1 and use DVDD(3.3V) for optional individual digial power supply. 4)The differential output directly from the DAC has labelled with preallocated 2.54mm spacing socket for diyer easily connecting to their favorite IV and LPF and bypass the default onboard one. 5) All dual opamp in single dip8 package IC can be used for this PCB output stage, such as OPA2134 AD8620 etc. One free opamp is included in the package and the model depends on stock. 6)If AK4497 PCB is used standalone in hardware control mode, (i.e. it is not used with our xmos pcb flashed with specific ak449x firmware or you do not have external MCU to send the software control command), PSN and ACKS must jump high or not sound. For software control mode, i.e. connect to the bundled xmos pcb which is flashed with specific ak449x firmware, PSN and ACKS must jump low. 1) Install jumper on AK4497 PCB PSN and ACKS socket and SET it to LOW. The DAC will start to run in software control mode. 2) With our customized firmware, the audio data send to the DAC is always bit perfect / lossless and the volume control is done in the DAC chip by I2C. DSD volume control is available using the operating system mixer. Without DAC specified firmware, the OS mixer will ruin the audio data if the volume is not set to full and DSD can only be playback at full volume. Please notes the maxiumum sampling rate is limited by the XMOS PCB. 1) To avoid click noise occurs during replug of USB cable, remove FB1 and uses external 3.3v supply to CN3. Please notes reversed polarity or over voltage can damage the xmos chip immediately. 1) The thick solder on AK4497 soldering pad is used for user easilier to install the smt IC and it should not be removed normally. *According to the AK4497 official datasheet page 66 notes 5 and our test, click noise occurs during power on/off, external mute circuit may be needed if click noise adversely affect system performance. *Our latest D1X headphone amplifier includes power on delay and instant off output relay. It can mute the power on/off click noise of AK4497/4495/AK4490 as well as all the other DAC chip requires this feature. *For normal user, AK4490 has higher c/p over AK4495/97. All can playback PCM768k and DSD512 file in our lab test condition. With our latest specific xmos firmware test condition, ak4490/95 do not have pcm/dsd switching click noise but ak4497 still have a little. *All SMT components on the PCB is assembled by pick an place machine in one step, the outcome is professional. AK4497 is soldered one by one manually afterward when order is received, no cleaning need soldering flux is used, some flux may remain on the PCB, it will not affect the PCB performance and usage. PCB without DAC chip option has plently of stock, user are welcome to order as many as they like. 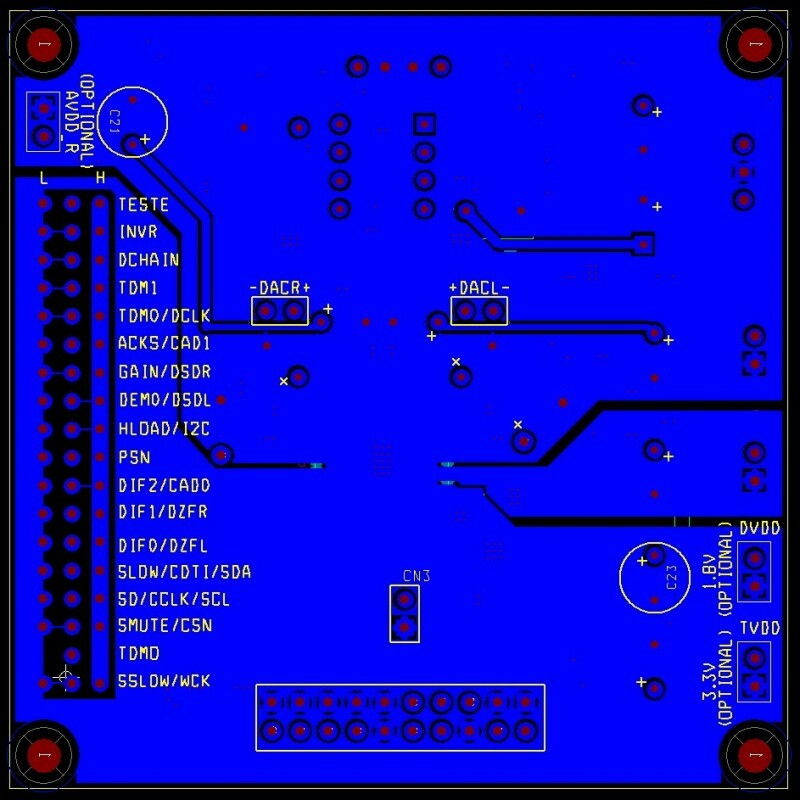 PCB with DAC chip option has limited stock, maximum one per buyer. Please contact us if you want to buy more than one, thanks.